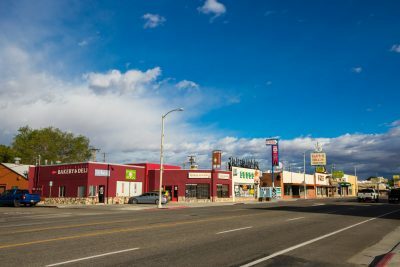 Bishop is a walking town – on any day or evening you’ll find people out on our downtown streets and wide sidewalks, dropping into a neighborhood shop for coffee or a meal, browsing the shops for gifts or treats, meeting up with friends for a visit. 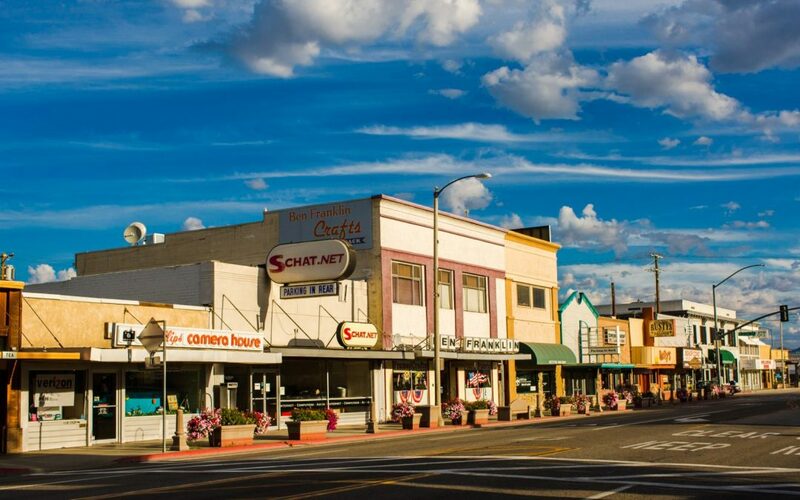 Within just a few square miles you’ll find art galleries, a public library, dog park, numerous eateries and places to quench your thirst, and of course, shopping. Destinational walking is walking to complete regular activities that take place in everyday life, with a specific end destination in mind; walking 10-15 minutes to a restaurant for dinner with friends, to school with your children, or to the grocery store to pick up fresh produce (Find more about this here). Consider doing a little banking on your way to dinner, shop for a hostess gift while getting your daily steps in on the way to meeting a friend for coffee, or grab some freshly baked bread for dinner. Bishop presents opportunities for high-quality, comfortable, and interesting walks. With our great weather, and the relative flatness of the city’s geography laced with wide sidewalks; Bishop really fits the walkabilty index. 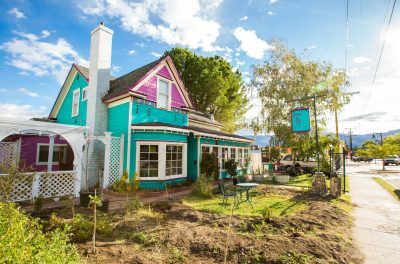 A typical walk to grab a cup of coffee will take you not only past several murals on Main Street, but also give you an incredible view of the crest of the Sierra Nevada. You’ll most likely pass the ducks swimming at Bishop City Park, and catch what is playing at the downtown Twin Bishop Theaters. 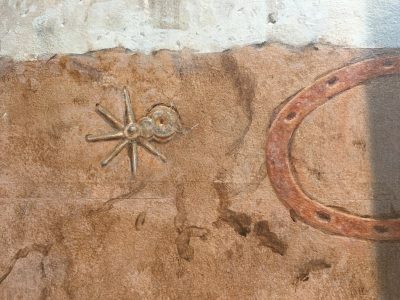 Make sure you check out the Bishop Mural Society for photos and information on the many downtown murals, and to link to a Google map of the mural locations before setting out. Bishop boasts almost 300 days of sunshine a year, and, except for the three hot months of summer, average daytime temperatures range from the low 50s to the mid 80s (Farenheit). In the summer, we just switch out walks to the evenings, when average temps cool off to the mid to high 50s. 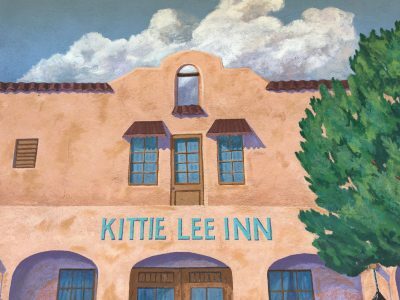 You may be treated to spectacular clouds, fresh snow on the Sierra, crazy-beautiful sunsets, or the alpenglow as the sun rises over the White Mountains to the east. Late fall brings brilliant color to the valley floor, and many of the trees around Bishop will be flaunting autumn hues. Locally owned restaurants, cafes and coffee shops (eat and drink from sunup past sundown). 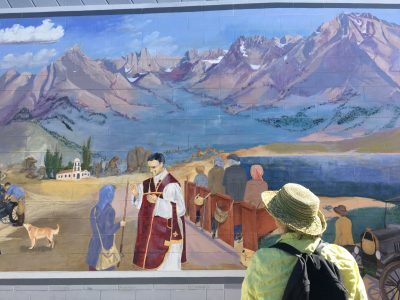 The Bishop Mural Society maintains the history-telling murals that are scattered through downtown Bishop. Although you can see many of them from your car there is nothing like getting up close and personal with a few (or all!) 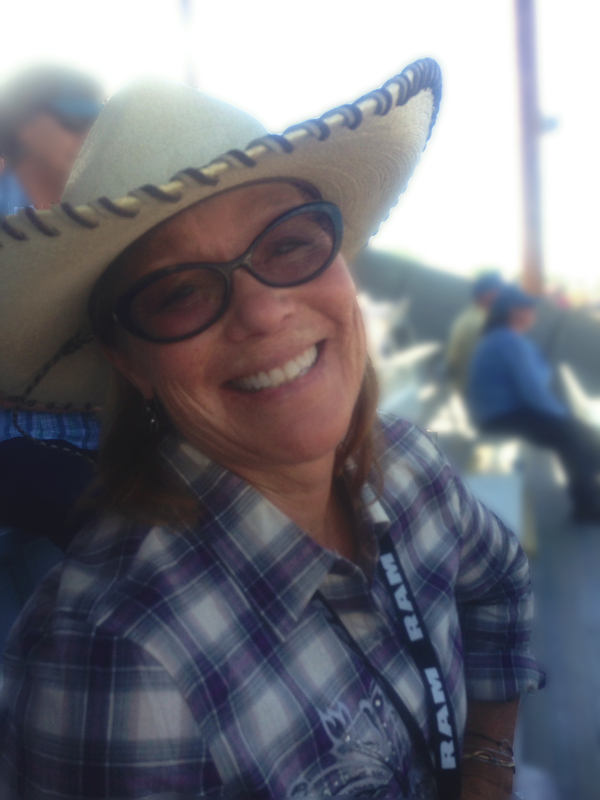 so that you can read the backstory and appreciate the stories they illustrate. You won’t want to miss the gorgeous sidewalks on Warren Street and around the Courthouse along with the ceramic tile mural at the library. 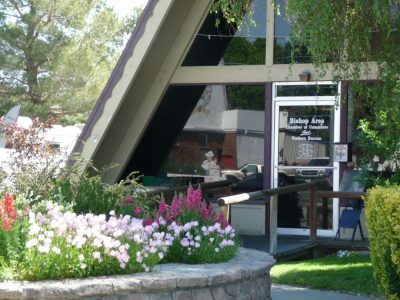 In the spring, summer and fall the City of Bishop maintains beautiful blooming flower pots and hanging baskets all along Main Street that are a delight to the eye. 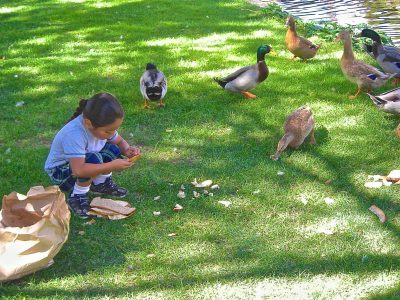 The Bishop City Park is a wonderful place to take a sack lunch and spend some time watching the ducks or surfing the web on the complimentary city WiFi. There’s plenty of shade and picnic tables, grassy areas for spreading a blanket and taking a quick snooze, open areas for tossing a frisbee. Don’t forget to pop into the Bishop Visitor Center and meet a few of us. Our space may be small, but we are packed with information on the eastern Sierra and like nothing more than to help you with your vacation plans. Pick up maps, local lore, souvenirs and make a couple of new friends. Bishop is a dog-friendly town. 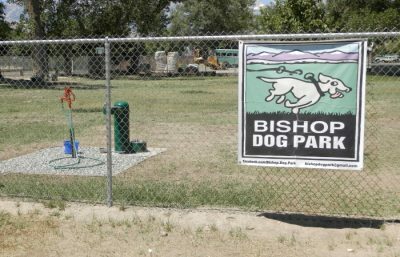 The goal of the Bishop Dog Park is to create a well maintained, fenced, off-leash area where well-behaved canines and their owners can exercise and play. Located behind the Bishop City Park, there is are two areas, one for larger dogs and one for the smaller pooches. The dog park is open from one hour before sunrise to one hour after sunset. You’ll find water for your dog and a safe place to run off-leash. Bishop has been around a long time and many of the buildings in and around downtown reflect its history. You’ll find stately bank buildings, gorgeous Victorian homes, and everything in between. In our opinion, the best exercise is the kind you don’t even really know you are doing. Walking to the park with the dog and the kids, walking to the market, walking and window-shopping… sure, we’re moving, but it isn’t like we’re climbing into sweaty gym clothes and staring at a wall of mirrors! Kids are natural exercisers, all you have to do is separate them from their phones and they’ll be jumping, climbing, running and squatting. Think of all the energy they are burning of fwhile you get your steps in! Shopping – from art supplies to jewelry, books to kitchen ware, outdoor gear to craft supplies. 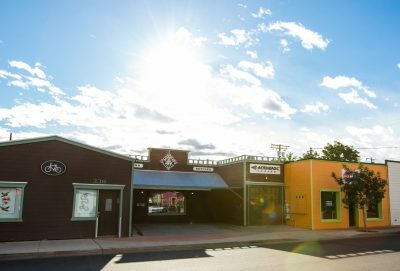 You won’t see the usual cookie-cutter assortment of businesses found in many larger towns, but you will find a wide variety of locally owned shops offering clothing, gear, supplies, gifts, and souvenirs sure to please the most discerning shopper. Flat – wheelchair friendly and wide sidewalks. 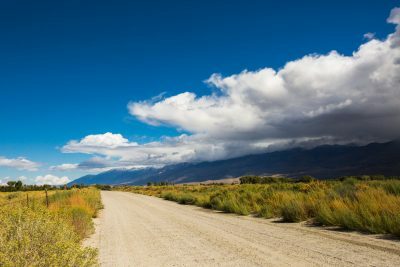 Enjoy the ease of navigating a town built on the flats of the Owens Valley. Bishop’s sidewalks include wheelchair ramps and are wide enough to negotiate easily. Stoplights and crosswalks make crossing Main Street safer (although be sure to look both ways before stepping out into the street! ), and most drivers are already alert to the many pedestrians. Take a walk, stretch your legs, and find a treasure to take away, whether it be something in hand, a memory or a view.